A thriller match but India won the match comfortably. Dhawan's form again came to him. India win a last-ball thriller, what a finish! It's a wrap. 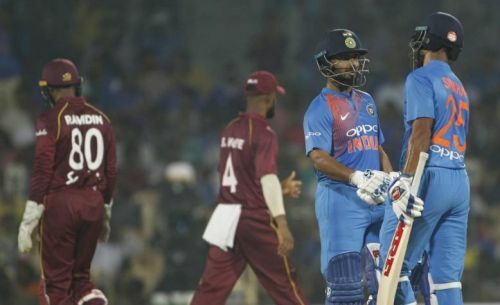 A lot of drama in the final over and #TeamIndia beat the Windies by 6 wickets.